Les Cocotiers is a charming and affordable hotel composed of small houses nested in the heart of a tropical garden. Situated on a bay with fine sand pleasantly shaded by coconut trees. 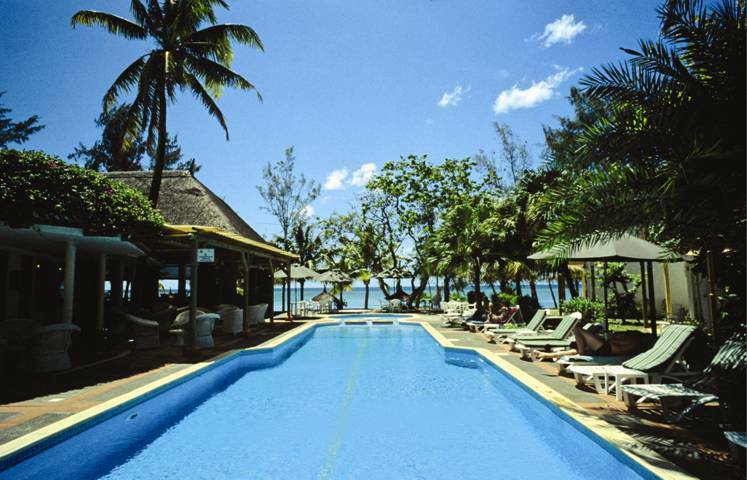 The hotel is located at Baie du Tombeau, on north-west of the island, 40 minutes from the international airport and 10 minutes from Port-Louis, the capital. The bar and the restaurant both face the lagoon and the entertainment and the main activities are concentrated around the swimming pool, which is surrounded by beautiful thatched roofed buildings.